Let's start driving, do you have a license? Here are the step by step instructions to getting your driving license here in Spain. Take 5 minutes to read them because they contain all the necessary information about the process, and the prices. If you have a license from any another country start by asking at your embassy for a document proving you have a driving license in your country. This document has to be in Spanish and it must contain your name, which license you have and when you got it. If you get this doc you’ll pay less for the insurance, no need to put the L plate on the back… You need to have a medical check up to get the driving license. If you have got health insurance ask them if it’s included on your policy, otherwise you can have it done at any qualified medical center. And do it just before the theory exam because it expires after 3 months. Get 4 passport sized photos and bring your NIE, we’ll make a copy of it. The theoretical exam is made up of 30 questions. It’s multiple choice, only one answer is correct for each question and you can make a maximum of 3 mistakes. The key is to preparing is to do a lot of tests (30 hours approx), and start by reading, not studying, the manual. All the material you need to pass the theoretical exam is provided in English and you will receive it as soon as you are registered. We normally do intensive courses comprising 4 hour sessions on Friday afternoons. They help you to understand the rules and the way the test is conducted – not essential but helpful. Otherwise, I’ll be happy to help you by email, phone or in person for a private class on the theory in order to work on any problems. It’s a big bonus if you can pass the first time, because once you pay the tax (€90,30), you have three “lives” to do the two tests. 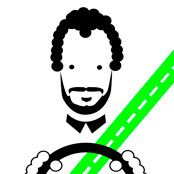 So if you fail the theoretical and have to repeat it, you’ll have only one chance to pass the driving part. If you fail you would have to pay the tax plus the file processing. 25 min exam on Montjuic or Pedralbes. If you break a rule, miss a sign or the examiner has to use his brakes, then you fail. The examiners are very strict on this. It’s not only about your driving ability, but also about how you focus your mind in an exam situation, and that part is better to be explained in one-on-one training sessions. Contact us to know when we do our english clases. Not only do we care about getting your driving license at the first, we also follow you step by step making it a pleasant experience. We listen and connect with the students and each of their needs. Book lessons with the teacher, who will accompany you in all the practices and the examination. We believe the best way to learn is to create a trusted environment for students to develop their full potential. We used prezis to teach, some presentations made especially for us. Discover, at every step, how to do things. The game, trial and error are the basic concepts in the process. This is our great team of professionals. 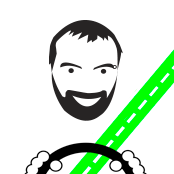 He began teaching people to drive when he was 25, in 2008, and since then he has complemented his work experience with therapeutic training to know what it better for each student on different stages of the process. 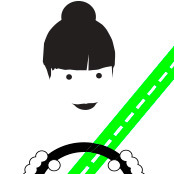 She is the secretary and is responsible for transmitting the ideals of Driving is cool. Her connection with the audience makes management a simple and easy process. 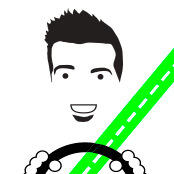 Javier has been Teacher for several years, he will help you in the learning process for a correct driving. Jose is our latest addition. We will help you gain the confidence and safety behind the wheel to get your driving license. CHECK THE LIST BELOW TO SEE WHAT YOU HAVE TO DO! License is not from any of the lists above? and then the driving test. 2 FREE Practice if you bring a friend! !